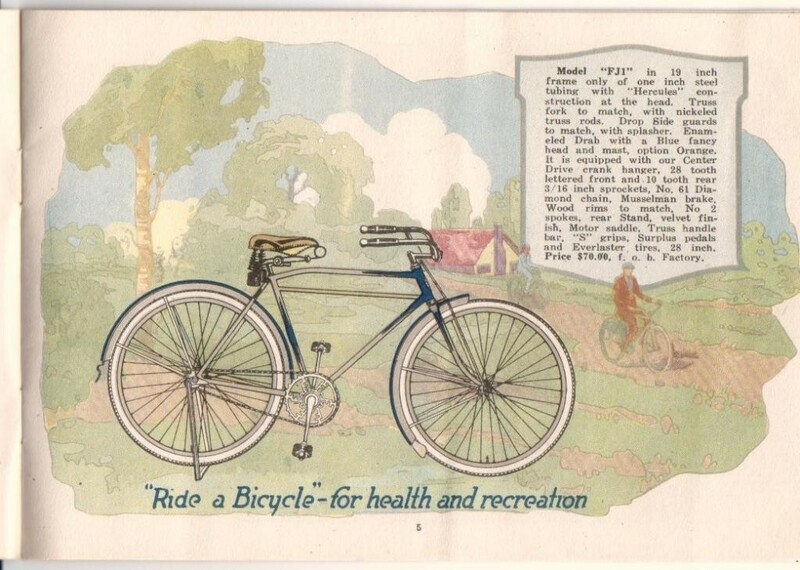 This is a very rare Miami Cycle & Mfg. Co. built 1919* Flying Merkel “Motorbike” bicycle. It’s an un-restored survivor with original paint intact. The trademark “Merkel Orange” is accentuated with maroon head and gold pinstripes. 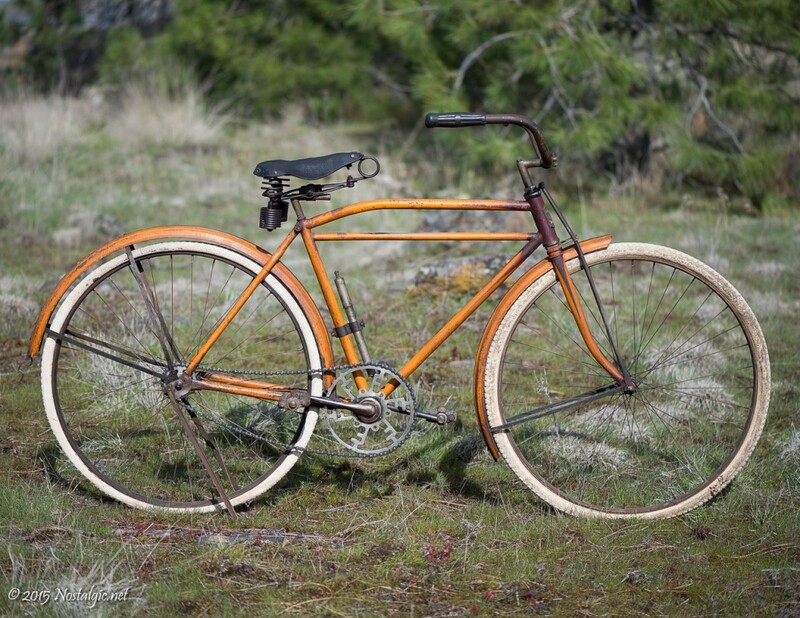 It features the motorbike style frame with truss fork, Persons leather saddle, cross brace handlebars and of course, a Miami built Musselman “Armless” coaster brake. Notice the large 28 tooth front sprocket featuring 6 flying letter F’s. The pedals are the original “Surplus” models, also built by Miami Cycle. And it’s all topped off with a spectacular winged-wheel “Flying Merkel” stamped badge with green paint filled into the lettering. This bike was barn fresh in 2014 and has been carefully cleaned, leaving a lot of the original patina and grease just where it’s been for nearly 100 years. *1919 is an educated guestimate from the knowledgeable community in the forums over at www.thecabe.com. 1921 Catalog page. Similar to the 1919.